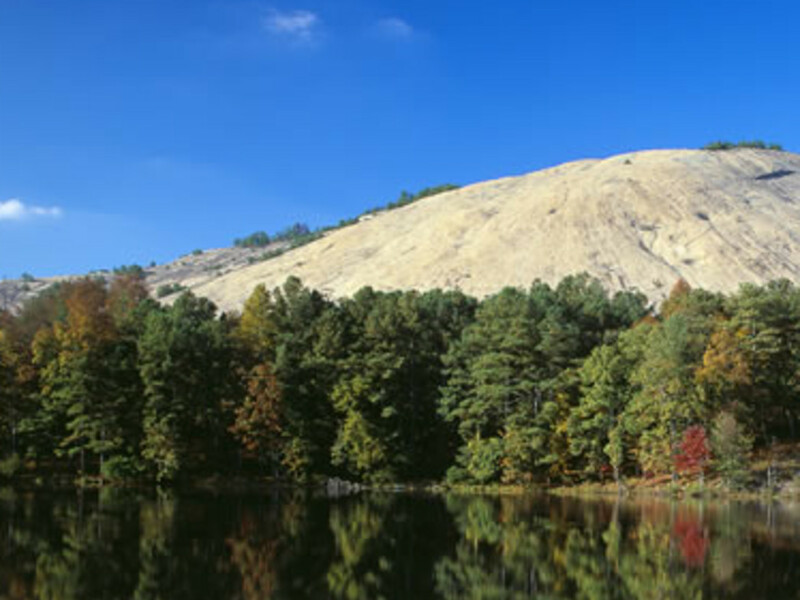 We’ve all seen that giant dome-like rock looming northeast of Atlanta—whether it’s seen from traffic on I-85 North or from the peaks of North Georgia Mountains, we know it as our beloved rock: Stone Mountain. This iconic landmark has become an outdoor adventure spot close to home offering hiking, running, cycling, boating and camping. The quartz, manmade dome’s circumference is five miles from the bottom and rises to an elevation of almost 1,700 feet. Hiking the one-mile summit trail to the top of the mountain is a rite of passage for visitors to the park. But while the steep incline can make those thighs burn, one mile ends quickly. 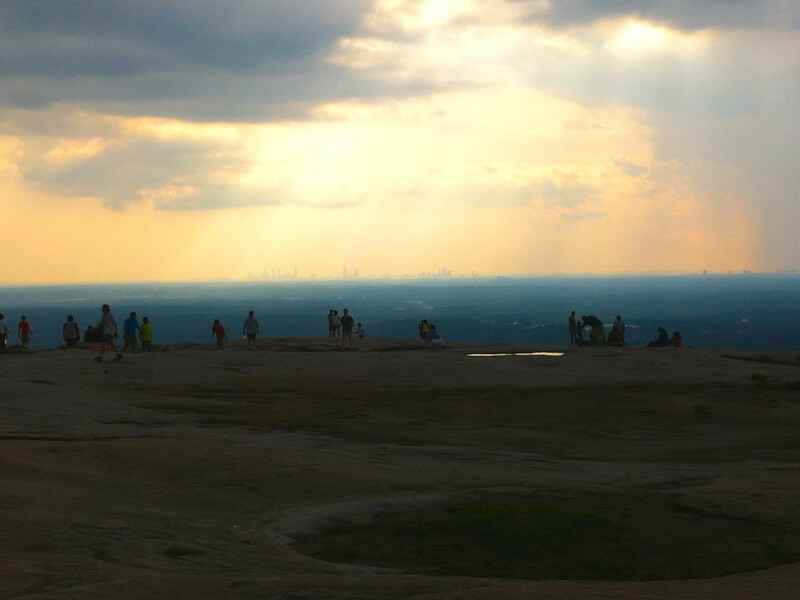 If you are looking for a new way to experience Stone Mountain, RootsRated has a few ideas. Stone Mountain’s PATH is a paved bike trail that goes from downtown Atlanta straight to the park. Many cyclists will bike the 19-mile journey to the park, bike a few loops around the park, and head home to round out a longer 40-plus mile ride. The loop around Robert E. Lee Boulevard is 5 miles, and you’ll find a few steep hills, particularly on the north side of the mountain. Take the offshoot on Stonewall Jackson Drive to pedal the more secluded, hilly section of the park. You’ll pass by the golf course and the back half of Stone Mountain Lake. This five-mile loop is less traveled than Stone Mountain’s summit trail or the popular paved trail that follows along Robert E. Lee Boulevard. 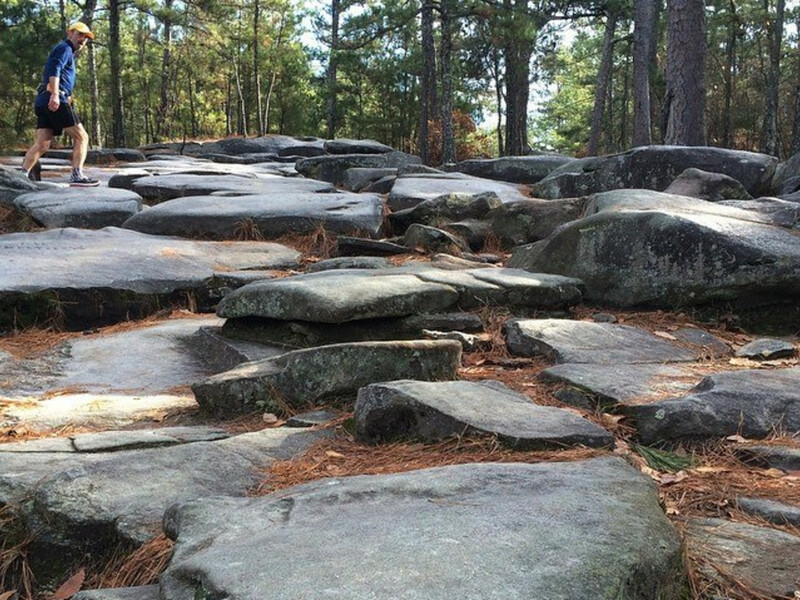 The unpaved trail surface carries runners and hikers over Stone Mountain’s varied terrain: trails that wind through woodlands and cross bridges, and at one point you’ll trek over the granite slopes and cross over the summit walk-up trail. 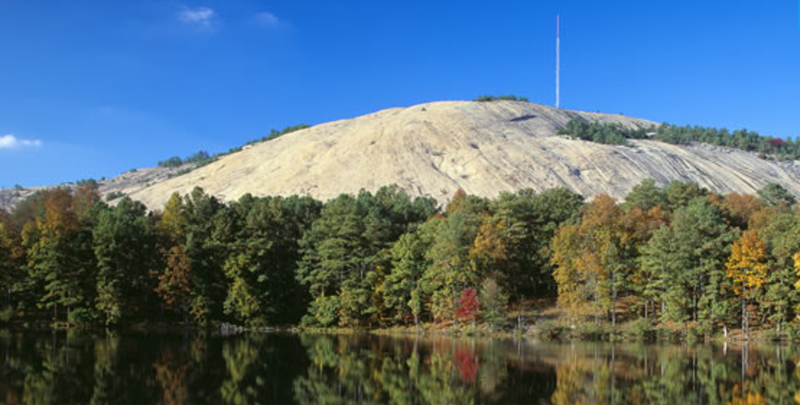 Exploring the park on foot gives you historic views of the memorial Confederate carving and “Laser Lawn.” Other points of interest on this trail include Stone Mountain Lake and Venable Lake. Parking is available in lots along Robert E. Lee Boulevard, and there are plenty of access points. It’s easy to tack on extra trails: the Nature Garden is a quick detour with a range of Dogwood, Magnolia and Sweet Gum trees. The glorious thing about Stone Mountain’s lake is you’ll find it much less crowded than Lake Lanier. The public boat ramp is located at Stonewall Jackson Drive. No swimming is allowed in the lake however, so when you put-in your boat, stay aboard. If you decide to try your hand at fishing, the lake is known for carp, bass catfish, crappie and bream. Know that you must have a Georgia fishing license and cannot fish from bridges, docks or beach areas. While you’re paddling, venture to the northeast side of the lake by boat to Grist Mill. 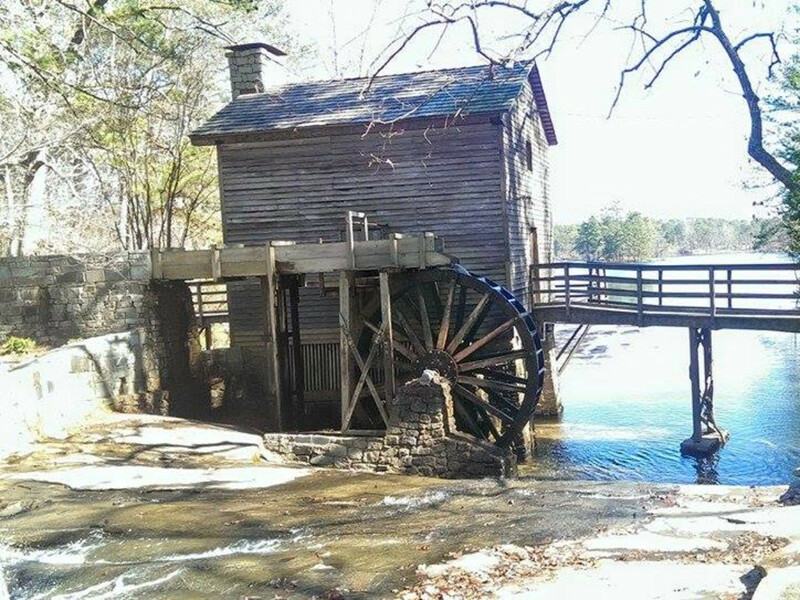 The picturesque mill was moved from its original location in Elijay, Georgia, in 1965 to the park. The wooded, quaint picnic area is a great stop for lunch. You can pack your own food, but be sure not to bring glass. You can also access the mill via car, bike or foot. If you do make the hike up the mountain, go in time for sunset. Looking toward the southwest, the setting sun will frame the Atlanta skyline, and on clear evenings you can see Kennesaw Mountain. The trail is open dawn until dusk, so you’ll have to hightail it back down the mountain in order to get off the trail before it closes. Allow about 30 minutes to make it to the summit. The lake is open from 6 a.m. until midnight, so take the opportunity to spend some secluded time on the water after dark. 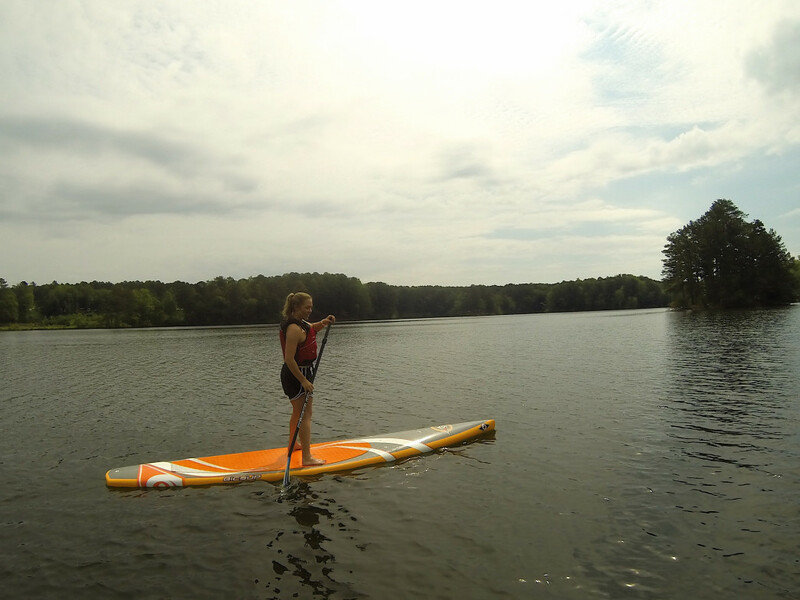 SUP paddlers enjoy the calm, flat waters of Stone Mountain, and you can’t beat the mountain as a backdrop. On the northeast side of Stone Mountain Lake, you can paddle to the covered bridge. It stretches from the main park to Indian Island. The island won’t offer much at night, but it makes for an eerie moonlit stroll.